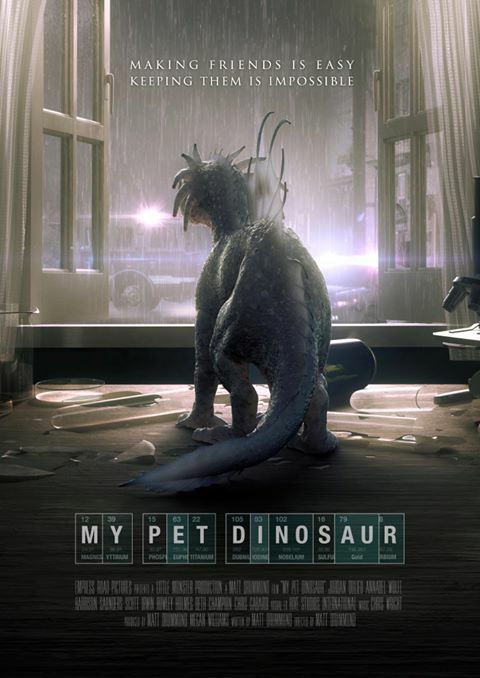 Little Monster Productions today announced the upcoming release of the title track to the upcoming family film, "My Pet Dinosaur." The original song, titled “Only Human” was written and performed by Meghan Drummond and produced by Pete Drummond, both siblings of the Director, Matt Drummond. "My Pet Dinosaur" is the second feature for Drummond who is renowned for his work as an Emmy Award winning, Visual Effects Supervisor. Meghan Drummond features on the television series, "Love Child" and performs internationally with Australia’s top entertainment agency, "The Groove Academy." Pete Drummond is a 2008 ARIA Hall of Fame Inductee and a member of the legendary Australasian band Dragon. In a nod to the film's nostalgic flavour, the track has been infused with signature sounds of the 80’s. The song, which serves to both heighten the film's theme’s and action is one of the final creative elements to fall into place during post-production. The film follows an unlikely friendship between a boy and a dinosaur in a troubled town. "My Pet Dinosaur," roars into Australian theatres on April 25. In line with the release, the soundtrack will be available the same day. This is the second feature for Drummond, renowned for his work as an Emmy Award winning, Visual Effects Supervisor. His previous film "Dinosaur Island" (2014), was nominated for a 2015 AEAF Award for Feature Film Animation. A cross between "E.T" and "Monster’s Inc," "My Pet Dinosaur" fixes on the unlikely friendship between a boy and a dinosaur. Cast includes Jordan Dulieu, Annabel Wolfe, Christopher Gabardi (The Thorn Birds: The Missing Years) and recognizable Aussie actor Tiriel Mora (Farscape). Directed, written and produced by Matt Drummond, "My Pet Dinosaur" is being sold by Empress Road Pictures.